“Driving under the influence” (DUI) and “driving while intoxicated” (DWI) are two names for the crime of drunk driving (N.J.S.A. 39:4-50) and can be used interchangeably without error. 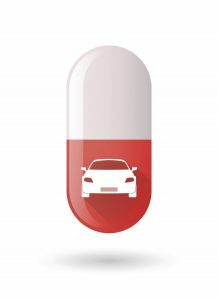 If a driver consumes any quantity of alcohol, prescription drugs, over the counter medication or illegal drugs there can still be an impairment in their ability to operate a motorized vehicle and can cause an arrest for DWI. It is not necessary to have a blood alcohol concentration (BAC) test to be found guilty of DWI charges. For many, a DWI conviction can be paralyzing: detainment, license suspended or revoked, a criminal record for job interviews, and many other consequences. If you or a loved one is charged with DWI in New Jersey or Pennsylvania, it is important to seek the counsel and representation of a local defense lawyer who is familiar with the particular circumstances of your unique case. All DWI cases are different, and it is crucial for your attorney to understand the nuances of your case. The experienced DWI attorneys at Kamensky Cohen & Riechelson (KCR) have been representing clients throughout Mercer County, including East Windsor, Princeton, and Hamilton, and are prepared to fight your charges and help you avoid the most serious penalties. Do not make the mistake of trying to represent yourself in a DWI, as this legal area is incredibly complicated and involves a number of procedural and evidentiary issues that are simply outside the understanding of most people. Contact KCR today at 609-528-8296 in Trenton,NJ or 215-337-4915 in Bensalem, PA to discuss your charges and begin your defense. Today, if a New Jersey police officer makes a driving while intoxicated (DWI) arrest, statistically speaking, the driver has a better chance of getting out of the charge as compared to a decade ago. In 2008 85 percent of motorists were found guilty of their DWI charges, and had to accept license suspensions, big fines and more. From that time till now, data from the state judiciary shows that rate has fallen to 71 percent. During this same period, the number of DWI charges that were dismissed doubled to 24 percent, as most of these drivers plead guilty to reckless driving or a lesser charge. Retired municipal Judge H. Robert Switzer, said that although most DWIs still involve alcohol, the last 10 to 20 years has seen an exponential increase in the amount of people driving under the influence of drugs. Whether the increase in DWI drug arrests is due to more drug use (prescription, over-the-counter, marijuana, addictive, etc.,) or better detection by police, drugged driving cases present several problems for prosecutors trying to convict; the biggest being that there is no equivalent of a BAC test for those suspected of driving while high. If you are pulled over for suspicion of a DWI or DUI violation, NJ law enforcement won’t care that you were only drowsy because you had to take an over-the-counter medication like cough syrup or allergy medication for the flu. That’s why these medications often include warning labels advising the user not to drive or operate heavy machinery. This means that you will probably be charged with driving under the influence of drugs and face the same charges as a person who was high on heroin, meth, or crack. New Jersey is a breath testing state. There is absolutely no obligation for a driver to give anything more than a breath sample when arrested for a suspected DWI. If a police officer requests a blood sample or a urine sample, the driver really has the ability to say no and refuse, and not be charged with the refusal or face enhanced penalties. Additional charges closely related to DWI/DUI are often written at the same time can include: driving with a suspended license; refusal to submit a breathalyzer test; reckless driving; possessing an open container of alcohol; drug possession and possession of drug paraphernalia. The fines and penalties for those charges vary depending on the facts surrounding the arrest. If you are charged with something in addition to DWI/DUI at the time of your arrest, it is important that you consult with a DWI attorney for help in understanding your rights. Kamensky Cohen & Riechelson is a highly respected law firm with a rich tradition in New Jersey and Pennsylvania. Our DWI defense lawyers have been representing clients throughout Mercer County, including East Windsor, Princeton, and Hamilton in New Jersey, and the Pennsylvania areas of: Philadelphia, Bucks County, Yardley, Bristol, and Morrisville to name a few. We are familiar with local courtroom procedure and we have unique insight into prosecutorial strategy in drunk driving cases. Whether you are a commercial truck driver, taxi driver, bus driver, private car driver, military personnel, or out-of-state driver, our commitment to serving the best interests of each and every client means that we will do whatever it takes to protect your rights, your job, preserve your freedom and keep your driving privileges intact. Contact Kamensky Cohen & Riechelson today via our online form and we will have a member of our DWI/DUI Team reach out to schedule a free consultation. You can also reach out to us via phone at 609.528.2596 and a member of our staff will be happy to assist you.